As a Anchorage chiropractor, I look for new ways to explain what we do and why chiropractic works when traditional methods fail. Naturally, not all chiropractors are alike. So tour our website and find out what we do and why we do it. Call our Anchorage office now and schedule a consultation. Let’s discuss your case and see if you’re a good candidate for today’s chiropractic care. Wished there was another branch on the east side or downtown area. Awesome service Dr. Luther and staff! I’ve already told friends and families about your excellent practice. I want to thank you so much for taking such good care of me. I have had pain for so long I thought it was just the way my life was going to have to be. Thanks to you I now know that I can live a much better and less painful life. I really appreciate you. The staff and Dr. Luther are very professional and a pleasure to be seen by! I would definitely recommend all of my family and friends to be seen by them. Felt better after first visit. Staff very friendly and helpful. Made me welcome. Even after just one (first) adjustment, my shoulder and neck pain have diminished. Was incredible the attention to what I was saying and what I needed was awesome very excited about the treatment plans. I appreciate how polite everyone is and that I can take my son there while I get adjustments done. I just love that it’s not a big building, so that I can park and not have too far to bring my son in. Thank you Dr. Luther for you valuable help in the recovery of my health. All my trust and gratitude. I’m glad I was referred to you, my experience with your practice it’s been great, looking forward for my next visit, thank you! Thank you Dr. Luther and all, for the valuable assistance received. Really enjoy my time at Luther Chiropractic, the staff as well as Dr. Luther are very nice and helpful. You have very good insight on your patients and your staff is very well organized and knowledgeable. I was great very warm. I love going there, the service is GREAT! Everybody is nice, patient and helpful. 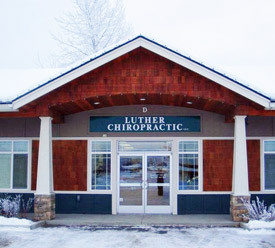 The staff at Luther Chiropractic are a great team, always helpful and friendly! The staff is very friendly, explained procedures, and answered all of my questions. I am very happy with the excellent care I have received from Dr. Luther and his staff. I would definitely recommend him to friends. The staff was wonderful. Very helpful and friendly. I’m glad I have chose Luther Chiropractic to help me get my back feeling better! You guys are so great and I know that you guys will always do what’s best for me. Very friendly and awesome staff!